Our Advent Calendars are thoughtfully designed with 24 numbered doors behind which small surprises can be hidden for each day! These wooden calendars can be used year after year providing a tradition that your family is sure to treasure. 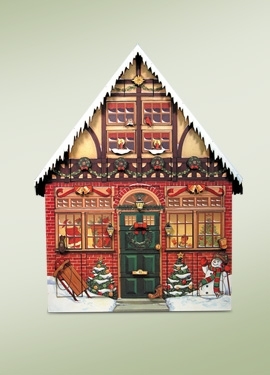 Byers Choice Advent Calendar - "Christmas House Advent Calendar"